It's potty training time at our house! My boys are very interested in the potty and we're working our way to being diaper free. Potty training toddlers can be very stressful, so I'm trying to make it as fun as possible for them. We've been reading a lot of potty training books and recently found one that we love so much that we thought up a fun game to go along with it! Have You Seen My Potty? 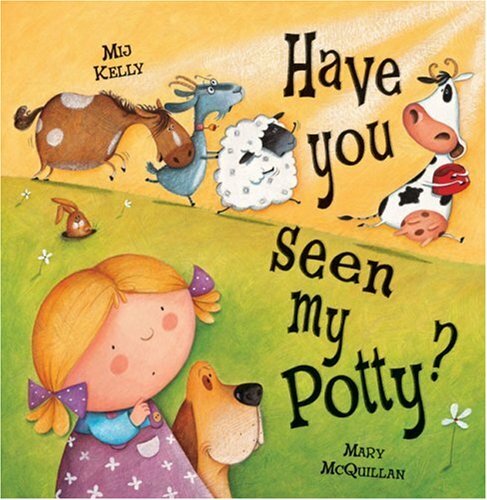 by Mary McQuillan is one of our favorite potty training books right now. It's the story of Susie Sue, who has something very important to do - but someone has taken her potty! As she searches for her missing potty, all the animals in the farmyard discover how wonderful it is to have a place to go. Have You Seen My Potty? is really fun to read aloud and the illustrations are super cute. My boys think it is just hilarious to see the animals using the potty, so we decided to see if any of our animals needed to go! We started with the little potty that came with our Potty Time Elmo, but you definitely don't need it to play. You can use a small bowl if you don't have a toy potty. I put it next to their froggy potty and we got out our animals. After reading the book, we decided to see which animals needed to go! All of our stuffed animals took turns using the potty. We even practiced taking pants on and off with Goofy! And some of our bigger animals ventured into the frog potty (which was clean, be sure to sanitize your potty if it's been used before playing). The boys had so much fun helping all of their animals go to the potty, and it was a great way for us to talk about using the potty, and what the potty is for. Keeping things light and fun helps to make the potty not so intimidating for beginners. Next stop, using the potty themselves! 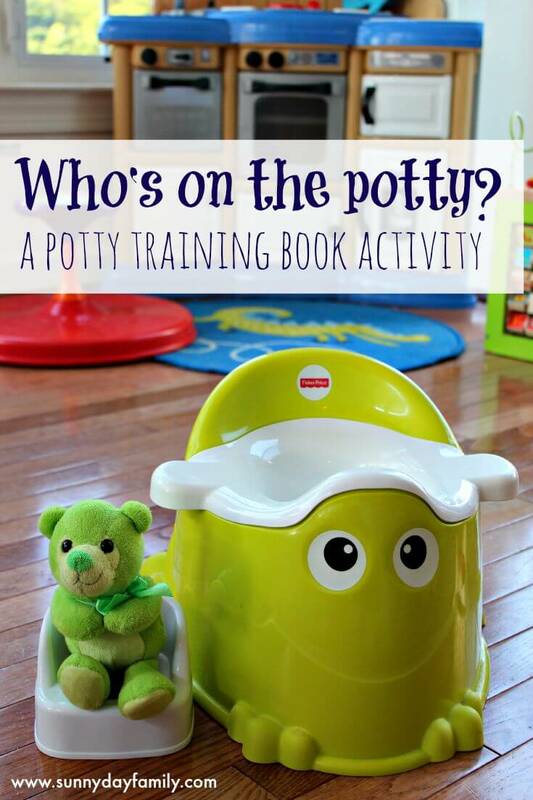 Want another fun book to play Who's on the Potty with? Try Everyone Poops by Taro Gomi! These are really good books and activities for anyone toilet training their toddler. Thanks for sharing at #ToddlerFunFriday!